England bowling hero Mark Wood finally feels he belongs at Test level after confessing he previously harboured "a lot of self-doubt" over his international credentials. The 29-year-old seamer had been out of England's Test side for the past nine months and was only called into their squad to face the Windies after fellow paceman Olly Stone suffered a stress fracture. 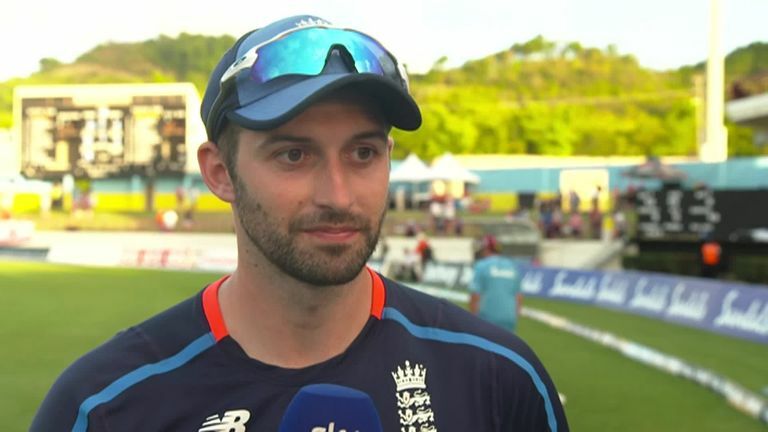 But Wood made an inspired comeback in the third Test in St Lucia, taking two wickets in his first over and finishing with his best international figures of 5-41 to spearhead an England fightback as the home side were bowled out for 154. "I think of all the hard times I've had with injury and a lot of self-doubt, actually - whether I was good enough to be at this level," Wood told Sky Sports Cricket. "Today I've felt like an England player. I felt I actually merited my spot here - this time I wasn't picked on potential, I deserved it. "There were times where I had no confidence getting my front foot down. I was desperate to do well and trying my hardest but it just wasn't happening. "Luckily today's a day when it has clicked and I'll never forget it. Any time when things aren't going right I can look back on this game and have fond memories." The Durham paceman was originally selected for England Lions' winter tour in the United Arab Emirates, where he tweaked aspects of his technique prior to joining up with the senior squad in the Caribbean. Among those changes was a modified run-up, which proved successful for the Lions and helped Wood to demolish the Windies' middle order on the second day at Gros Islet. "The new run-up has helped," he added. "I went away on the Lions trip and worked on some things and hopefully today's the rewards from that. "I feel I don't have to force it as much now. I'm still hitting the floor but I feel I've got more momentum, more rhythm and I can get into the spin of things. "Today it just clicked and I'm delighted to have a ball sat in there for a five-for. It'll be hung up somewhere, that's for certain." Watch day three of the third Test between Windies and England, in St Lucia, live on Sky Sports Cricket from 1.30pm on Monday.